This instrument went out the week before last. 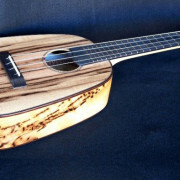 I’m calling it the Killer Ambrosia Maple Long Neck Concert Ukulele. 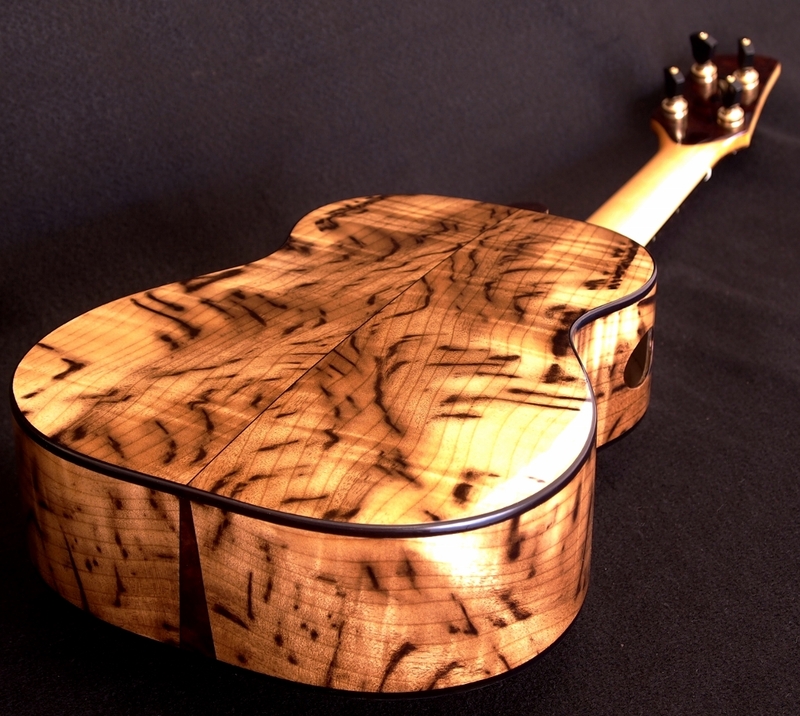 This curly Ambrosia or Ghost Maple is absolutely killer. 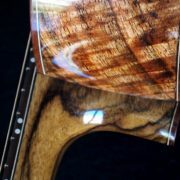 It’s like looking at the wood at the bottom of a swimming pool. 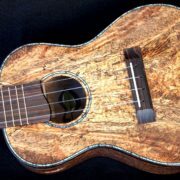 This particular set has much more color and heavier curl than the Ancient Spruce and Ambrosia Maple Super Tenor Ukulele that I posted January. 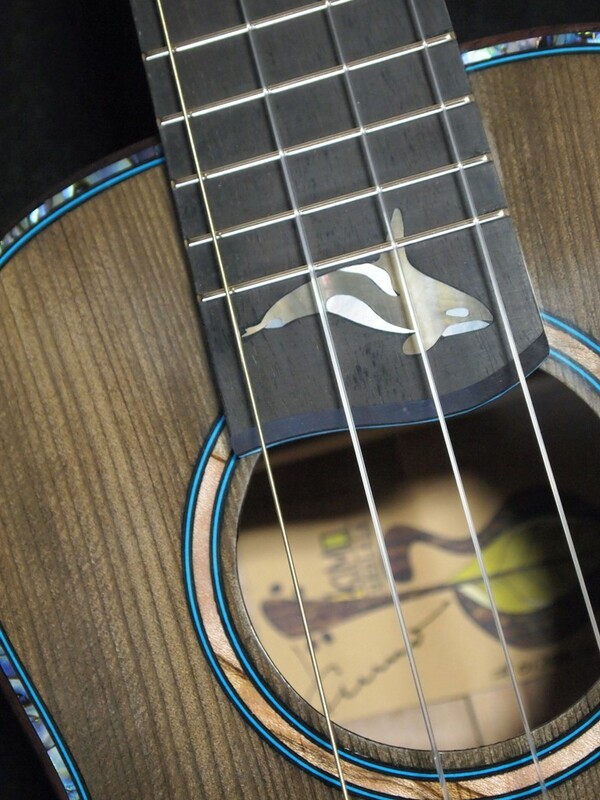 The Killer Whale inlay on the tongue of the ebony species finger board is a fun addition. 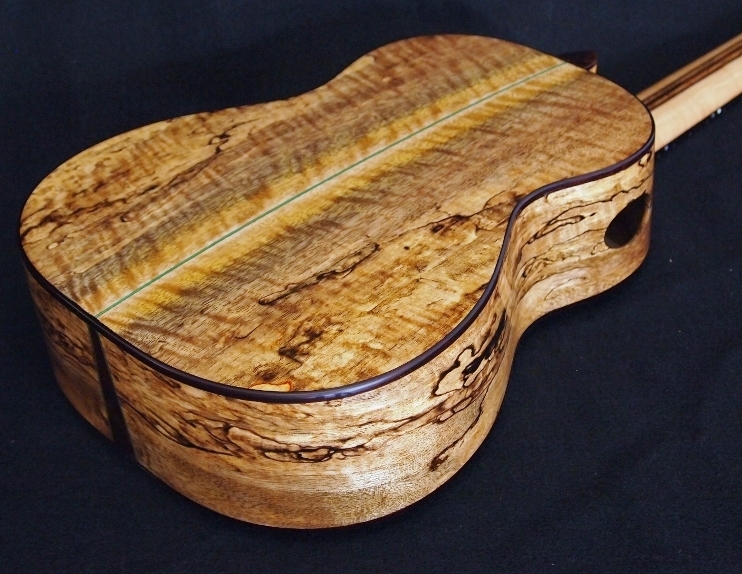 And, the Ancient Spruce top (3000 years old) actually worked out quite well. Definitely an eclectic look. 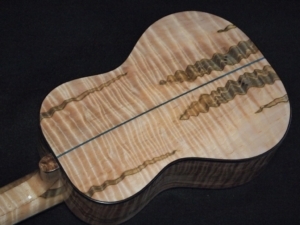 I’ve made (but not posted) four instruments now using the Ancient Spruce. 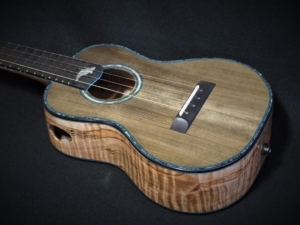 Although this wood has been a challenge to work with and sometimes a little funky appearing, all the instruments regardless of size have a good voice. 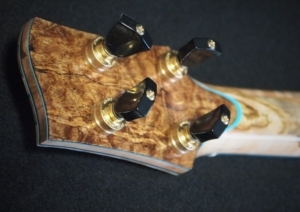 I made a neck out of the same curly Ambrosia Maple. The accent wood is blond pomelle Bubinga. I’m still liking the tenor scale on the concert instruments. It doesn’t look out of balance and the instrument is only about an inch and a half longer than a standard concert. Easier to play, better volume with better string tension. All in all, a killer project!